Holy cannoli! 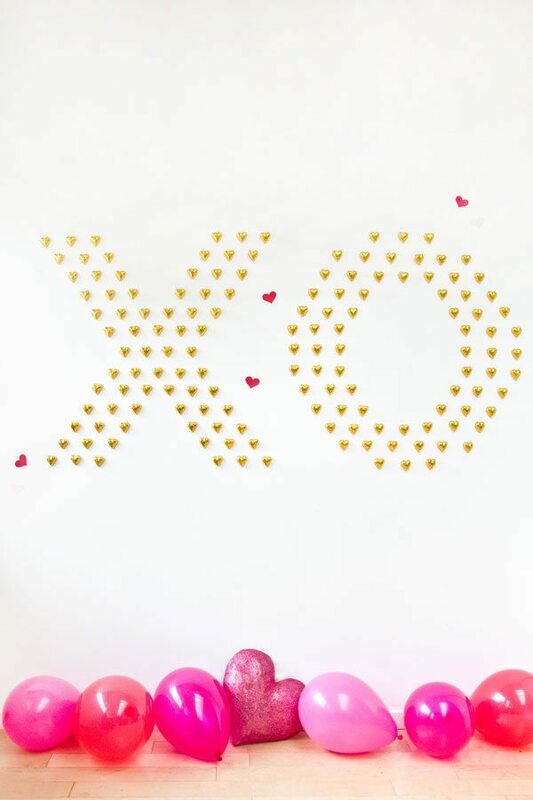 Can you believe Valentine’s Day is this week!? 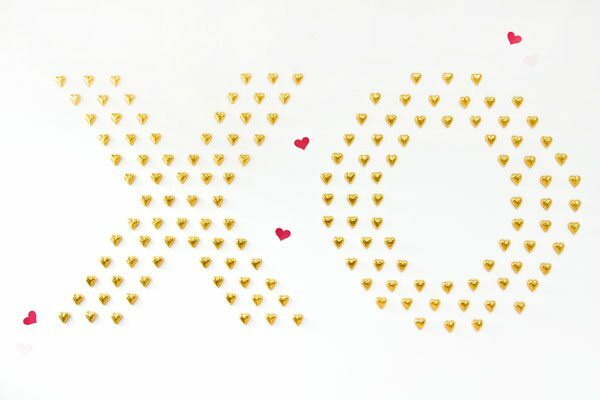 If you’re scrambling to do a little something sweet for your better half at the last minute (we’ve all been there! ), here’s a way to take the “box of chocolates” concept and bump it up a notch. Or five. 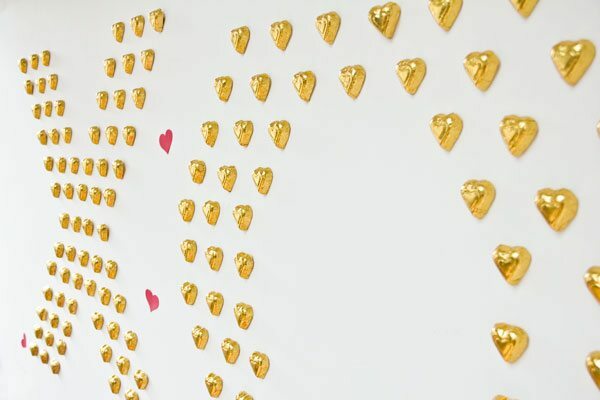 A chocolate heart wall! Talk about a statement, right? All you need to do is raid the chocolate aisle at your local store (check the dollar store, too!) and then get to spelling out a giant love note! *Note: Please test your adhesive in an inconspicuous place on your wall before doing this. All adhesives adhere differently to different wall surfaces. 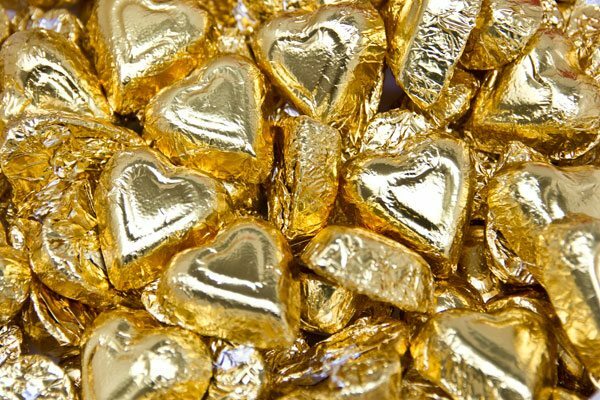 You want something that will hold up the chocolates, but will come off easily without making marks on your walls! Glue Dots worked best for me. 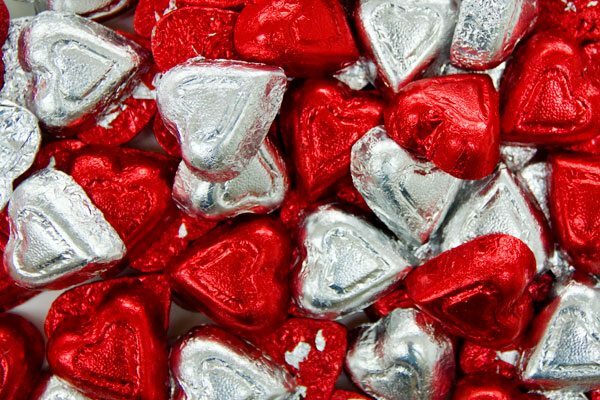 If you don’t want to take the risk at all, buy a large poster board and adhere your chocolates too it. Then hang the poster board with Command strips. 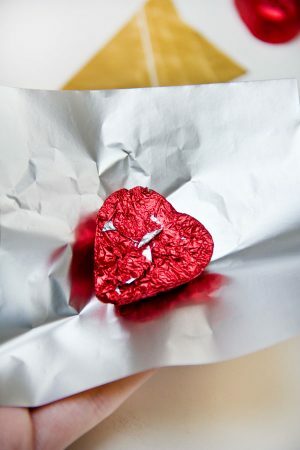 If you’re re-wrapping your chocolates, don’t bother taking off the original wrappers. 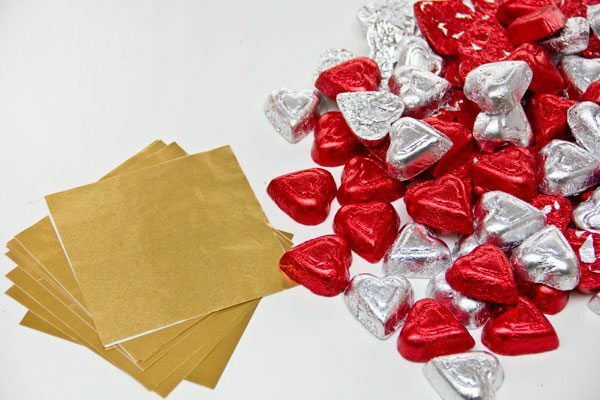 Take one of your foil wrapper sheets and just wrap it over top the already-wrapped chocolate. Smooth out any creases as best you can. 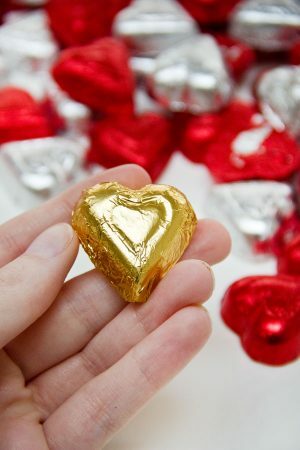 Now eat a few chocolates, just to make sure they taste good, of course. To make this project easier, I recommend laying out your pattern on a table or the floor first, then taking a photo on your phone and using that as your guide. 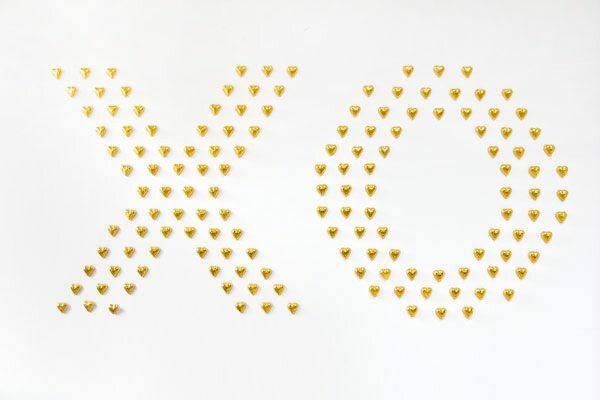 If you’re making the XO, start with the center of your X and work you’re way toward the top and the bottom at the same time. Then I recommend starting with the center of the left side of your O and working your way to the top and bottom, then filling in the other side. You can see my process above, and use the photo below as a guide for how to layout your chocolates. 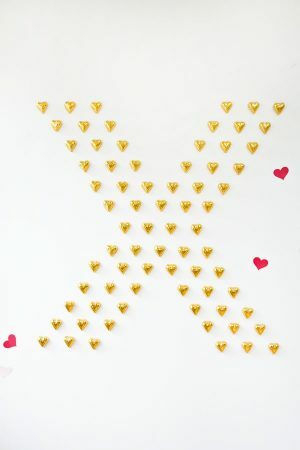 This concept would also be awesome for creating a giant heart or, if you’re really ambitious, writing out the word “love” or your initials, like “J+K”. Aww! How much fun will it be to just grab a chocolate off the wall throughout the day!? 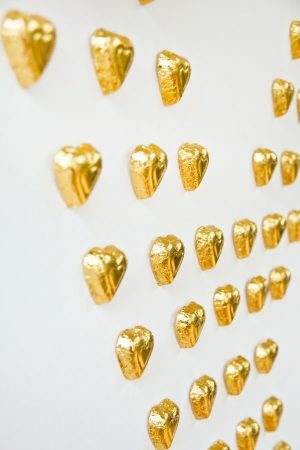 This would also make an awesome backdrop for a Valentine’s dessert table. Now, go dig in!